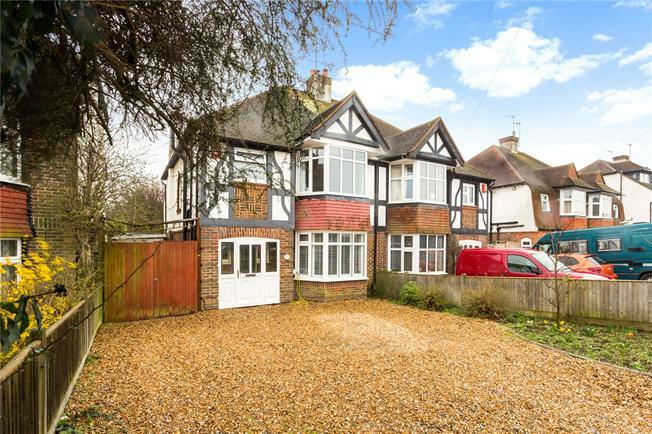 4 Bedroom Semi Detached House For Sale in Hove for Asking Price £650,000. With leafy Hove Park at the bottom of the road, this attractive semi-detached residence is on a sought-after residential road with a selection of good schools, green spaces and amenities nearby. Spacious accommodation spans three floors with light-filled rooms and a flexible floor plan with three reception rooms to suit a growing family. At the front with a bay window and log burning fireplace is the well-proportioned sitting room, featuring wood flooring, bespoke shutters and built-in window seat. Separately there is a dining room with gas fireplace which opens onto a family room which in turn leads onto the garden. The kitchen is contemporary with lots of storage and integrated appliances. The bedrooms are on the first and second floors, each one a good size. The master bedroom is bay fronted with a fitted wardrobe, while bedroom two has access to a lovely balcony at the rear, with views over the garden. On the second floor is an additional double bedroom as well as attic space which could be converted into another bedroom if required. All bedrooms share a modern family bathroom with freestanding bath and a walk-in glass shower. Brighton city centre is just 2.8 away, whilst the beach is less than 2 miles distant. Dyke Road is reached via nearby Woodruff Avenue, giving access to the A27, A23 and Gatwick. Waitrose supermarket and a number of local shops and cafes are nearby. Local schools include Aldrington Primary, Hove Park, the Bilingual Primary School and Blatchington Mill Schools. Hove Station is approximately 1.1 miles away with direct services to London and Gatwick Airport. A good-size gravel driveway is enclosed by wooden fencing and bordered by flowerbeds. There is ample parking for several cars and a single garage with double doors. To the rear the garden extends to a stone-paved patio area providing an ideal space for outdoor entertaining. There is also a lawned area and a wood shed at the rear boundary, whilst a number of climbing plants and trees of various heights provide seclusion. Planning permission (Ref: BH2017/03909) has been granted (for 3 years from April 2018) for a ground floor extension and associated works. Current owners have already put in the new bathroom and sitting room and new double-glazed windows throughout, as well as cavity wall insulation, Solar Panels and electric car charge point. 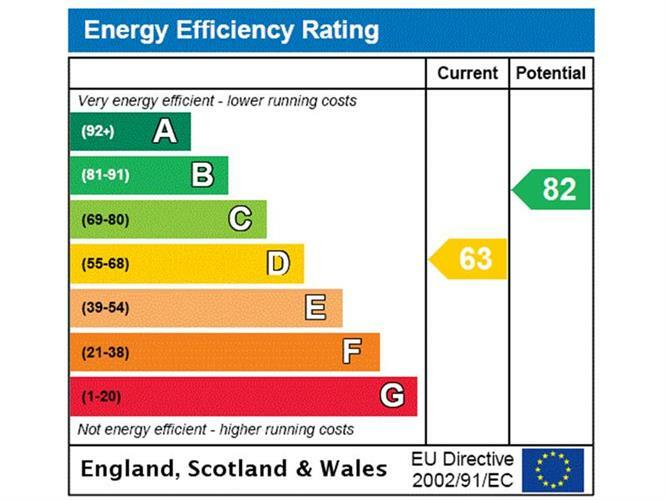 (Therefore, the EPC rating is expected to be much higher when updated). Full architect drawings are available to view upon request.